Mediterranean means “between the lands”. The Romans called it Mare Nostrum – our sea; the Turks called it the White Sea; the Jews the Great Sea, the Germans the Middle Sea and the ancient Egyptians the Great Green. Since then it has been known as the Corrupting Sea, the Inner Sea, the Bitter Sea and the Liquid Continent. In this magnificent book, David Abulafia brings all those meanings to life again. Corruption in its different avatars plays a significant role in David Abulafia’s The Great Sea, a tribute to the Mediterranean’s capacity, over 3,000 years, for revealing the imagination, resilience and ruthlessness of its human populations, from cave-dwellers in the Rock of Gibraltar to those entrepreneurial Chinese who recently acquired the Piraeus docks from a cash-strapped Greek government. Abulafia’s concern is with the layered experience of successive generations testing the sea as a source of survival, as a bearer of promises and rewards, rather than with these waters as an ecosystem swayed by currents and geology. He challenges the orthodoxy established half a century ago by Fernand Braudel in his monumental multi-volume work on the same subject. The French scholar’s gloomy assertion that “man is imprisoned within a destiny in which he himself has little hand” is convincingly dismissed. Political initiative, rather than resistless fate, the present writer suggests, determined not just the importance of Mediterranean cities and settlements but their actual locations. 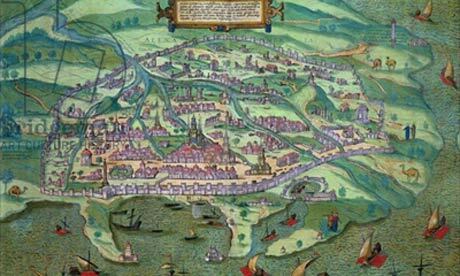 As he says early on, “Mediterranean history can mean many things”; fortunately for readers he has taken it to mean a study of human life, civilisation and endeavour, rather than a worthy economic survey. A professor of Mediterranean history at Cambridge University and biographer of the Holy Roman emperor Frederick II, Abulafia wears his scholarship lightly, even daringly. As he puts it, his is a “history of the Mediterranean Sea rather than a history of the lands around it; more particularly a history of the people who crossed the sea and lived close by its shores in ports and islands”. It is indeed this, and much more. From 2,500BC little ships were on the move, growers and makers as well as traders travelling to sell their goods. Olive oil moved alongside stinking fish sauce and wine and silver and pots and plates and even amber from the North. Coins and the idea of coins, as opposed to blocks of precious metal, went by sea; the Greeks in Southern Italy were especially keen on them. Spices came out of the East, but they also went back: saffron was shipped to Syria from the fields around the towers of San Gimignano. Grain travelled North from the rich Nile delta, from Sicily and Sardinia; when the Vandals in North Africa controlled the flow of bread to Rome, they had the city by the throat. The sea was the heart of things, the cradle of our kind of western civilisation, and endlessly busy. Death travelled; sometimes it’s possible to name the ship on which plague arrived. Ideas travelled, too: a mad kabbalist who needed to see the Pope to proclaim himself Messiah, the Cathars whose dualist worldview may have been imported along with the Bogomil exiles from Constantinople. Byzantine images influenced Jerusalem. The cathedral at Pisa was decorated with fine, shining Muslim ceramics just as the Crusades were starting. The notion of an alphabet, then the idea of vowels, had to be carried around the Mediterranean long before there was a lingua franca for trade. And so it goes on. People are at the core of the book. The ethnic links and trading bonds that emerged across the Mediterranean over the centuries are shown by Abulafia to be equally influential and lasting in forming the essence of the place as the physical elements that constitute it. People do leave their mark on the land just as much as the land (or sea) forms their character. Surely Braudel and Abulafia are reaching the same conclusion from different angles; man and nature are intertwined in ways which we can only appreciate, but must seek to understand. 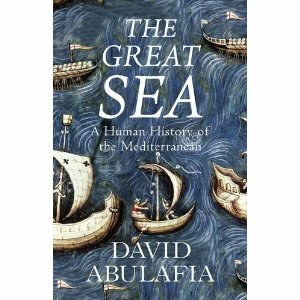 Whether Abulafia has succeeded in writing a solely human history of the Mediterranean is difficult to accept. Is it possible to remove the geography from the history of a geographical entity, or is this kind of history an effort to redress a balance between man and nature? Complex and, probably, pointless questions. This is a very well-researched and consistently argued analysis of the development of civilisation along the Mediterranean. Furthermore, the learning and detail is not over-bearing, but rather engrossing and captivating. The vision and scope of this history is reciprocated with literary style and imagination. In short, a very good read.